Ocean and wind currents are formed by a process known as convection. Both convection and pressure affect the flow of water and air. As air and water currents move from one area to another, they affect the general climate of the area they are moving into. Water currents have the ability to cool and warm the air, while air currents push air from one climate to another, bringing heat (or cold) and moisture with it. Convection is one of the major ways that heat is transferred. It occurs because hotter liquids and gasses have a tendency to rise, while colder liquids and gasses have a tendency to sink. 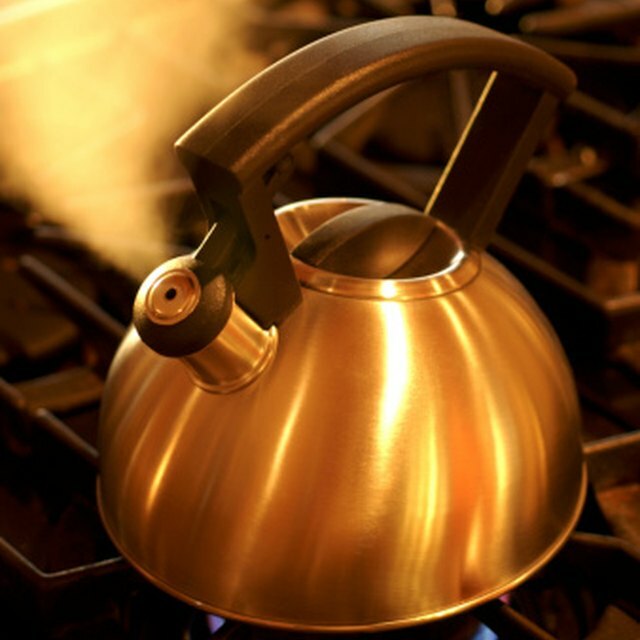 Think of heating a pot of water on the stove. Initially, the bottom portion of the water is heated by the energy produced by the stove, but, after a while, bubbles form and rise to the surface. The bubbles are pockets of hot water rising to the surface that heat the water around them as they rise. The same thing happens on a larger scale when the sun heats the ocean and colder water sinks underneath. Ocean currents affect the temperature by moving hot or cold water from one location to another. The Gulf Stream, for example, moves warm air from the Gulf of Mexico along the eastern coast of the U.S., and eventually to the British Isles. As the warm water travels North, it warms the water and air around it. The dominant air currents that affect climate are known as prevailing winds. Prevailing winds are winds that blow in one direction more often than from other directions. Prevailing winds bring air from one type of climate to another. For example, warm winds that travel over water tend to collect moisture as they travel; the water vapor in the air will condense as it moves into colder climates, which is why temperate coastal areas often receive heavy rainfall. Another factor that affects air currents is air pressure. The higher the difference in air pressure between two areas, the stronger the winds will be. This happens because high pressure air has a tendency to move towards areas of lower pressure. Low pressured air also holds less heat than high pressured air, which is why it is generally colder at higher elevations. Harland, Bryant. "How Do Ocean & Wind Currents Affect Weather & Climate?" Sciencing, https://sciencing.com/do-currents-affect-weather-climate-7735765.html. 19 April 2018.